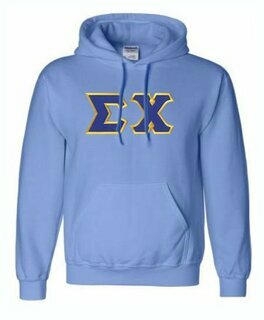 Go big or go home by ordering the Jumbo Greek Twill Hooded Sweatshirt from Greek Gear. 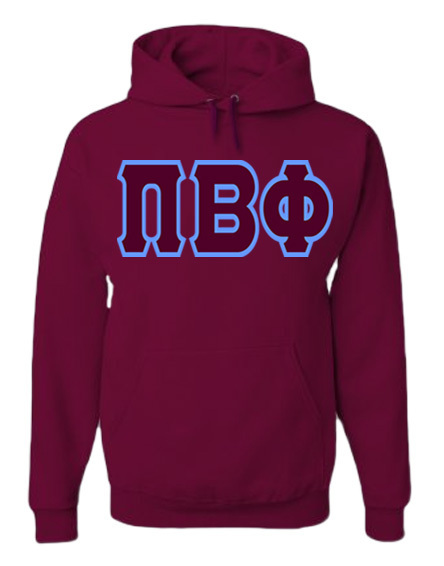 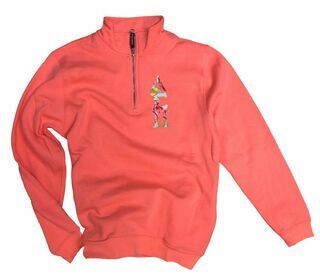 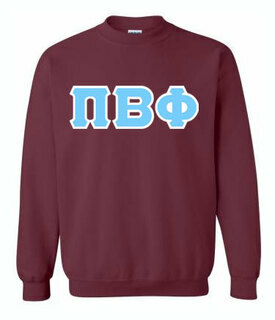 The exclusive design features jumbo Greek twill letters on a solid-color hooded sweatshirt. 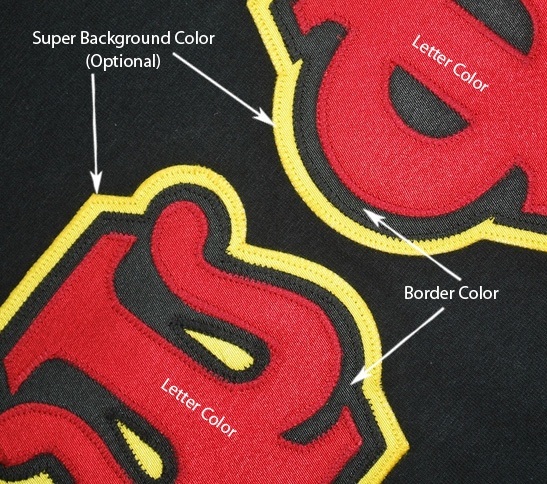 The letters on this sweatshirt are 50 percent larger than our standard letters, so they'll be sure to get a lot of attention. 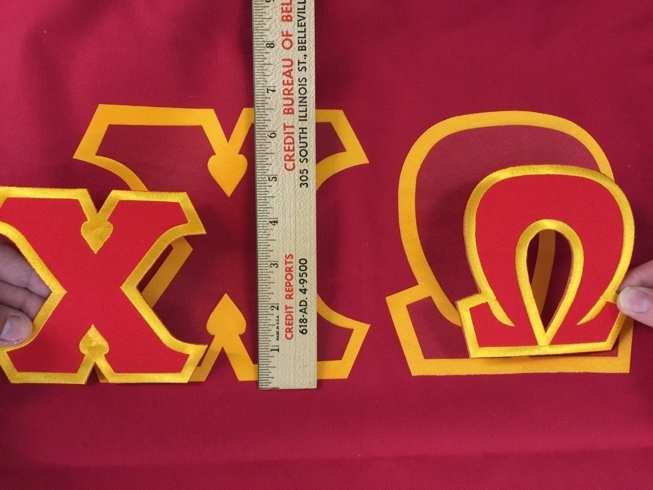 Standing at approximately 6.5 inches tall, it'll be hard to miss your group's letters displayed prominently across the front of this hoodie. 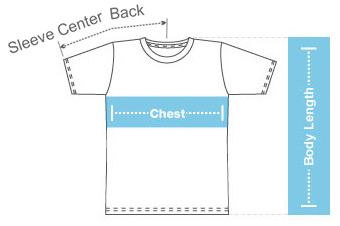 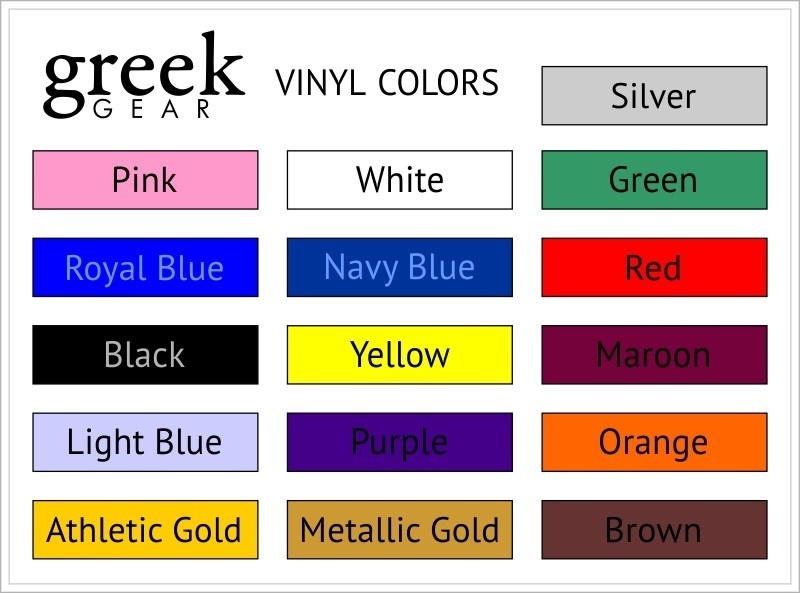 Shirts are unisex in size, but are generally geared more for men, so please take this into account when ordering.